There's no denying it, I love planners. Even in this smartphone era, I still use planners. In fact, I don't only have one but three or four in a year for different purposes. 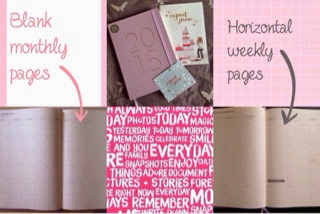 For 2015, I picked out these planners or calendars or journals. I finally graduated from years of using Starbucks planners. I used the Philippine Starbucks planner this year as my prayer journal. But it was so distracting with all the literature on coffee. And it is not easy to customize with washi tapes because of its design. I decided then to find simpler and plain ones for next year. I have too many washi tapes and I would like put them in use. 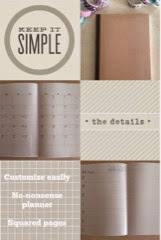 My first pick is the kikki.K Weekly Planner to serve as my main planner for 2015 to keep track of schedules, to-dos, important dates, etc. I love this brand which I learned from Fat Mum Slim's post. Yes, I had to order it from Australia. But it's just perfect as I want a weekly VERTICAL planner to organize my daily schedule. 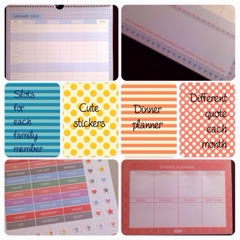 There are not many weekly vertical planners in Bangkok thus the need to source abroad. A big mistake though is the size. Lesson learned: Do not simply click on A5 thinking it is smaller than A4. I was surprised to see this large planner. It won't be easy to bring everywhere so the planner stays at home. My second pick is the Muji planner which will be my prayer journal. I love how basic it looks. And I like how the days are all on one side. That leaves with one page free for whatever I want to write. I'm thinking I'll put down my weekly verses here and list of prayer requests. 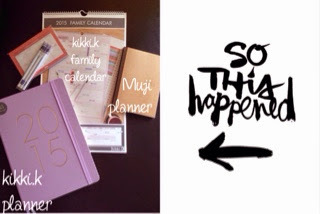 A dear friend gave me this kikki.K family calendar. When she saw it in the store, she knew I was meant to have it. We are a family of four and our schedules are becoming crazy. Our eldest son's activities are just coming up one by one. Pretty soon our little Caleb will have schedules of his own. It is nice to see a large enough calendar with all our activities so we can sort our schedules out. Love the stickers and the dinner planner. The menu planner is so me as I only cook one dish a day which is for dinner. And there you have it, my attempt at organizing our family life. Take note that I wrote down "organize" instead of plan. My biggest lesson this year is that I am not in control but God is. It's not about what I want for my life but what He wants. So whatever it is that He thinks is right for my family, I will write them down on these planners/calendars. How do you organize your year? What planners do you use if you ever use one? I am back! Did not complete photos for September and was not inspired in October. 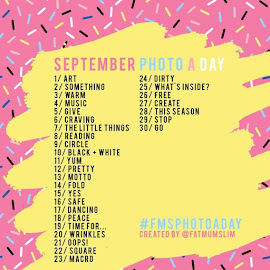 But my favorite month is here so it is a good time to go back to FMS Photo-A-Day challenge. 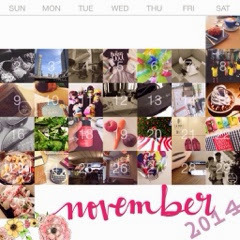 It is a better month. Started off difficult but it ended with all the good things. I am ready for December. It is going to be very busy. Looking forward to ending 2014 on a happy note. How was your November? This month, I turned 38. I have done it again, I put out my age out there. Why keep it a secret or worse lie about it? I have 38 years to be grateful for. I have the most wonderful and loving husband and am a mother of two sons. I almost didn't have a happy birthday. My husband's extensive treatment for nasopharyngeal cancer made him stay in the hospital towards the end. But God never fails, he was home on the evening of my birthday. And after almost three weeks of being home alone with our sons and shuttling back and forth to the hospital, I had a "me" time. I always do that on my birthday, spend the day alone. 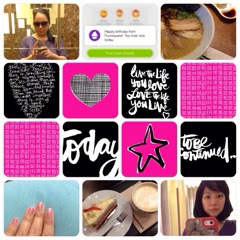 It was pamper and eat whatever time. My biggest achievement that day was a haircut. Sheesh, my last haircut was before I gave birthday to Caleb which was more than a year ago. My hair needed some TLC. 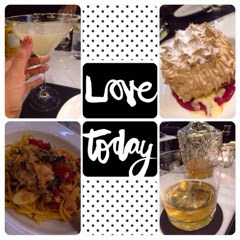 And for dinner, I had a date with the love of my life. 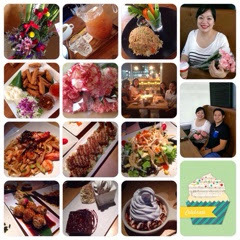 We walked to the office building next to our place and tried this fancy restaurant, The Capital by Water Library. I was so touched he agreed to go out for dinner for me despite that he hardly ate and he felt cold because of the anemia. It was one of the most memorable dinner dates we ever shared. God blessed me with amazing friends who made sure I get to celebrate my birthday. People who are close to me know my one wish is - complete healing of my husband from his cancer. I want nothing else. So there you have it folks.. God turned my birthday week into something memorable.